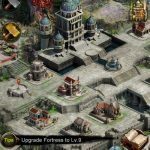 Korrigans: Kingdom Wars is a new fantasy strategy game by Fabulapps that, as of the present, is only available for iOS devices. The Korrigans are ancient people of Brittany that band together to take out the forces of Onalgar, and as you guide them through this, you’ll be forming alliances, building your own empire, and fighting against terrifying creatures, as well as discovering new technologies that can help you defeat the bad guys faster. 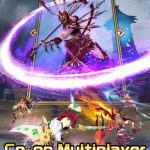 You can also enhance your heroes, craft weapons, and do many other things you can do in mobile strategy games In terms of mechanics, this is a massively multiplayer online (MMO) title similar in concept to Clash of Clans, so do expect a lot of social elements to manifest themselves. 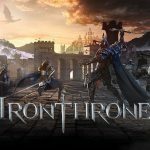 So how can you build the best empire possible in this game? 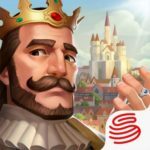 Our collection of Korrigans: Kingdom Wars cheats, tips and tricks may help you do just that. Resources will serve as the backbone of your empire, and from the get-go, you’ll want to expand your little village and mine for resources. You may need these resources to upgrade buildings, research new tech, or build up your army, but regardless of why you need them, you need to focus on them. Remove trees and rocks to speed up the resource-gathering process, and create buildings such as Farms, Quarries, and Sawmills to boost your resource stockpile. Also, you’ll want to target Resource Bases when you’ve got your Room off Conquest up – conquering a Resource Base makes it produce for your village for a maximum of one week. Your army should follow next after you start off by prioritizing resources. It’s this army that will defend your village and attack rival players for loot and power, so you have to have a formidable army as early as possible. Having a balanced lineup of warriors always helps, though at the end of the day, it would all depend on how you prefer to play Korrigans: Kingdom Wars. And when it comes to looting resources from other villages/human players, the best thing to do is to pillage. Typically, you’d have best results if you send Wagons and Armored Bears with offensive-oriented troops if you’re looking to score more loot. As we said earlier, this is a game where you’ll have no choice but to interact with other human players. Co-op battles, for instance, would require three players, and would have you fighting bosses with rare relics and gold at stake. When fighting in these battles, it’s best to keep your hero as far away as possible from the boss during the first few turns. If the boss is closer to you when you’re attacking, you’ll earn more action points and launch more impressive attacks. Korrigans keeps it simple – you only have three classes to choose from when creating heroes. These include your Amazons, who generally fight from long range, and your Paladins, who are best as melee fighters. Your heroes will get one artifact per level-up, so use these artifacts to boost their stats. When upgrading in Korrigans, your Tavern should always be leveled up accordingly. That’s the upgrade that will allow you to unlock more powerful troops, higher-end buildings, and much more as you make your village unstoppable. Also, your Tavern serves as your ground zero of sorts – this is where you can carefully examine your troops’ stats, strengths, and weaknesses.